Bring your tour group to visit the Midway or become a wholesaler! 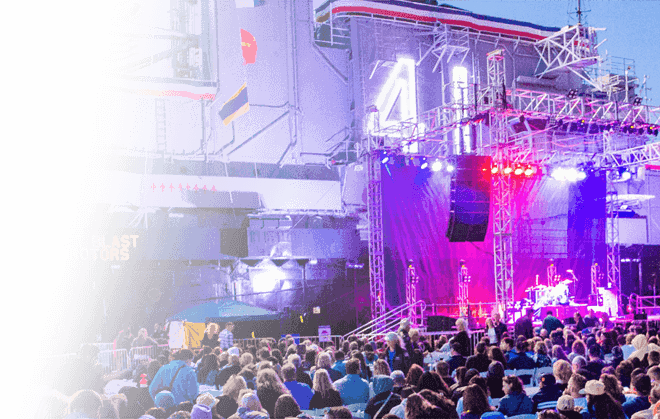 The USS Midway Museum is proud to partner with our travel industry professionals. Please see offering list below and contact our Travel Team at travel@midway.org, if you have any questions. We offer competitive wholesale rates for our Tour Operator partners. With the ability to purchase individual tickets for FIT business or group tickets for your groups, we make it easy and convenient to do business. For pricing and more information, please contact our Travel Team at travel@midway.org. Direct API Link: This process provides direct access to our tickets so your customers can purchase our tickets directly thru your website. Both programs provide ease of access as well as the highest level of security. Our best wholesale rates are available with these programs and the “Skip the line” incentive is a big hit. 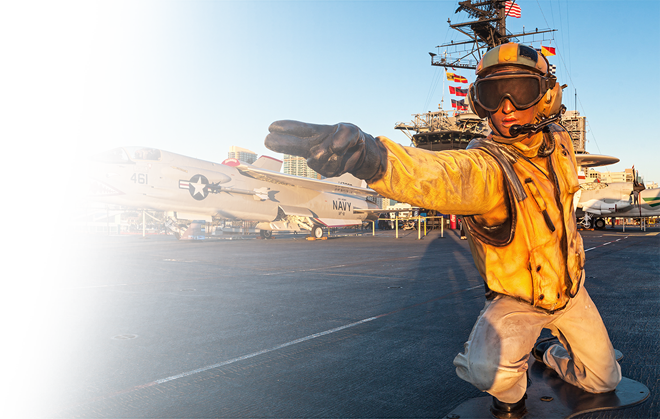 We strive to offer all the tools you need to provide your customers with USS Midway Museum ticketing. Working with the #1 attraction in San Diego is convenient and hassle free. For more information, please contact our Travel Team at travel@midway.org. 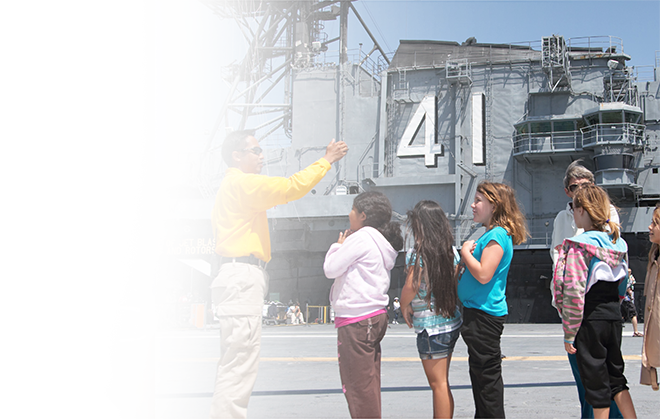 We offer a reduce rate to student and youth groups who wish to visit the USS Midway Museum and book with a Tour Operator. For more information and rates, please visit click here. 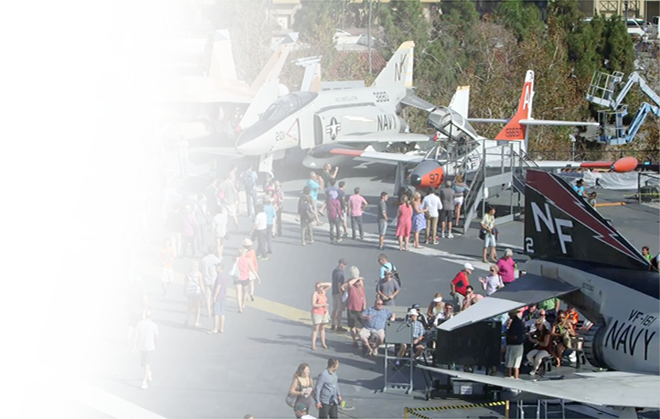 Midway History: Learn more about the historic significance of the USS Midway aircraft carrier. Social Media: Keep in touch with us on Facebook, Twitter, and Instagram for the latest onboard updates. 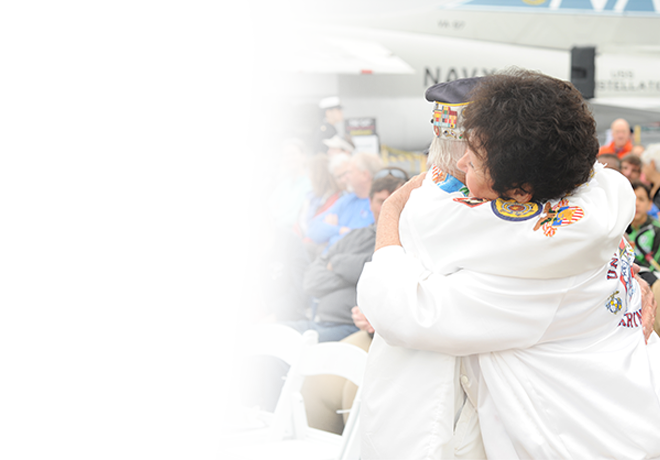 Get the Media Kit: Download USS Midway facts, a historic overview, photos and more for your promotion needs. 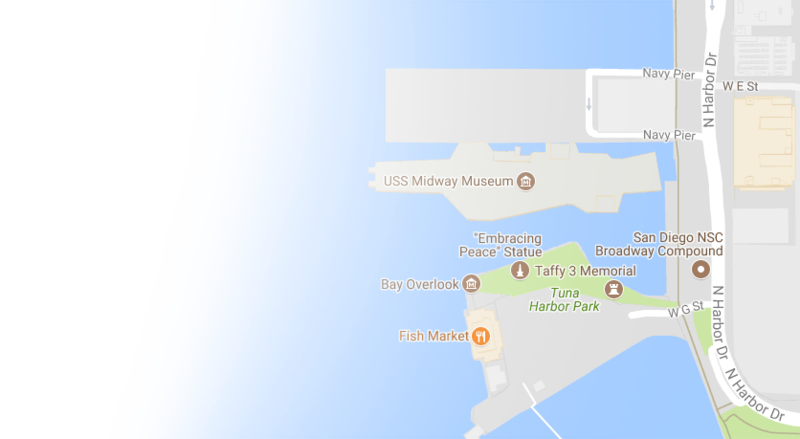 San Diego Travel Info: Explore helpful resources for your customers.